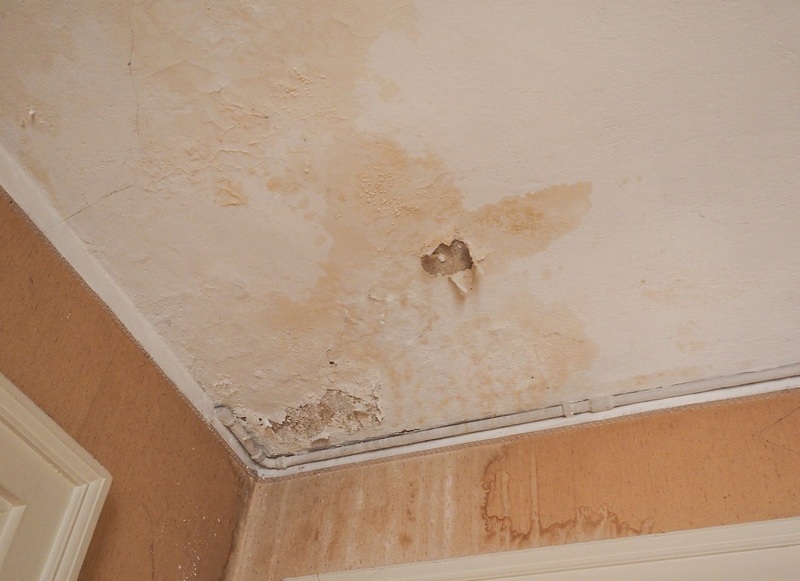 If you have water damage on your ceiling, whatever the cause, it won’t get better on its own. In fact, it usually gets worse, and whether you call a water restoration company in Alpharetta or whether you decide to repair it yourself, there are a few steps that you’ll need to take to make sure you solve the problem and keep it from getting worse before restoring it all to the way it was before. The first thing you need to do if you want to avoid (or at least limit) your water damage mold in Alpharetta, as well as damage to the ceiling itself, is to figure out where your leak is coming from and stop it. Even if you repair the ceiling itself, you’ll just end up damaging your new ceiling if you don’t take care of the root issue. Finding the leak might take some investigation. It could be coming from pipe damage, a leaky roof, or a number of other sources, and you should carefully remove the damaged drywall and hunt around for the source, or you might want to have a professional handle this step if there’s mold. When you remove the damaged drywall, try to cut it into a rectangle or another shape that’s easy to match when you’re making a patch. Be sure you wear safety gear while doing flood damage restoration in Alpharetta. Then you can make and insert your patch, attaching it with an appropriate adhesive. If it’s a large or heavy patch, you may need to support it while it dries. After you or a water restoration company in Alpharetta finishes the repair work, then it’s time to make the ceiling look good again. You can prime and paint the area as soon as your patch has completely dried, and you might want to paint the entire ceiling at this time so that the repaired section doesn’t stand out.